At this point there is no doubt that any organization can take the advantage of machine learning by applying machine learning into their business process. The significance of machine learning application will depend on how it is applied and what kind of problem you as an organization trying to solve with machine learning. The results are also depend on the experience of your data scientists and software engineer along with the adoption of technology. As you can see above the machine learning process is a continuous process of extracting data from variety of sources then feeding into machine learning engines which generates the model. These models are plugged into business process to produce the results. The results from the models are feed into the process to solve business problems. These models can produce results independently as well at the edge depending on their usage. At this point the critical question is to understand what a machine learning development life cycle really look like. What kind of talent is really required to pull it off? What these teams really do while building and applying machine learning? The machine learning ready data is feed into “building machine learning” process where a data science heavy team is working on data to produce results. Above you can see the the building machine learning process is very data science heavy work however applying machine is mainly the software engineering process. You can use the above understanding to figure out the technical resources needed to implement end to end machine learning pipeline for your organization. The next question comes in our mind is the separation of building machine learning and applying machine learning. how these two process are difference? What is the end results of machine learning process and how software engineering can apply its out? Looking at the image below we can see the product of “building machine learning” process is the final or leader model which an enterprise or business and use as the final product. This model is ready to produce results as needed. The model can be applied to various consumer, enterprise and industrial use cases to provide edge level intelligence, or in process intelligence where model results are fed into another process. Sometimes the model is fed into another machine learning process to generate further results. Once we have understood the significance of key individuals in end to end machine learning process, the question in our mind if what the key individual do in day to day process? How to they really engage into the process of building machine learning? What kind of tools and technology they adopt or create to solve organization business problem? To understand the kind of work data scientists will be doing while building machine learning, we can see their main focus to use and apply as many as machine learning engines along with various algorithms to solve the specific problem. Sometime they create something brand new to solve the problem they have in their hand as there is nothing available, or sometimes they just need to improve an available solution. The above image puts together the conceptual idea of various engines, could be used by the team of data scientists in any organization to accomplish their task. The role of software engineering is critical in overall machine learning pipeline. They help data science process to speed up and refine the process to generate faster results while applying the software engineering methods top of data science. The image below explains how software engineers can expedite the work of data scientists by create fully automated machine learning system which perform the repetitive tasks of data scientists in full automated fashion. At this point data scientists are open to use their time to solve newer problems and just keep an eye of the automated system to make sure it is working as their expectation. Various organization i.e. Google (i.e. 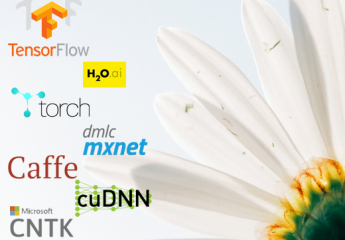 CloudML), H2O (i.e. AutoML) has created automated machine learning software which can be utilized by any organization. There are open sources packages also available i.e. Auto-SKLearn, TPOT. Thank you, all the very best!